The cold weather calls for some savory snacks at tea time. I bake more in the winter just because the warmth of the oven and the goodies inside keep me motivated and happy. 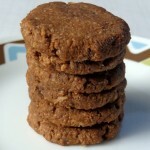 Here is a totally guilt-free and easy-to-make biscuit/cracker recipe! 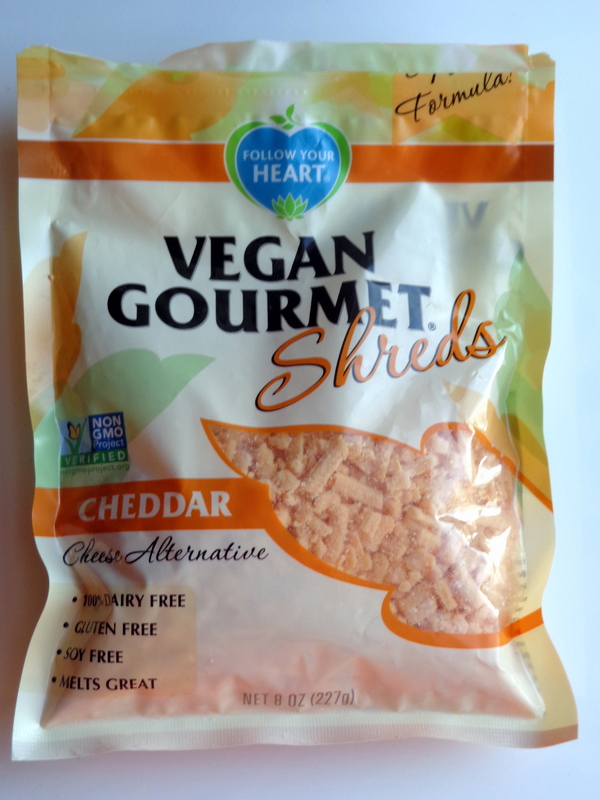 I recently bought some vegan cheddar cheese at a health store. 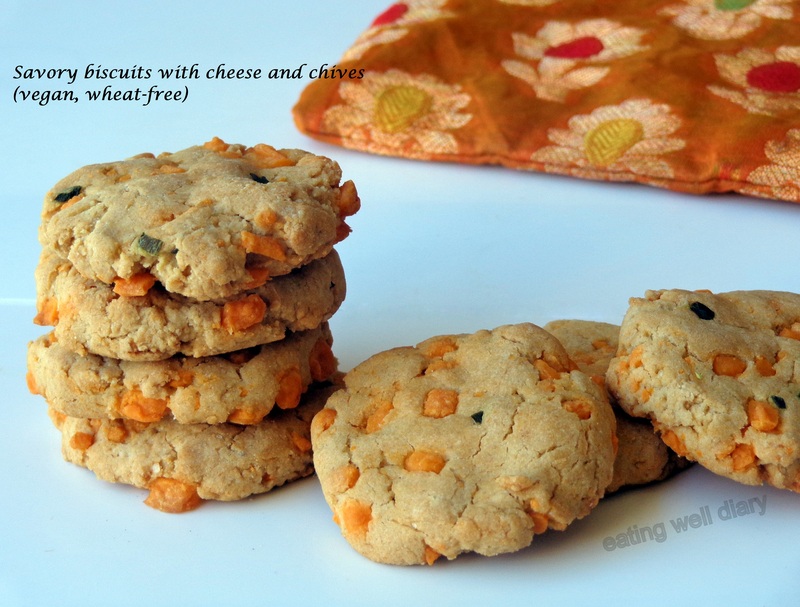 While I was thinking of a way to use it in snacks, along came Sonal’s post of garlic and chives biscuits. I adapted it to make a wheat-free version. Trust me, my husband did not guess at all that it does not have flour nor real cheese, and the kids love it so much that I made a second batch. This time, I made it with coconut oil instead of butter to make it completely vegan .This one is awesome too! 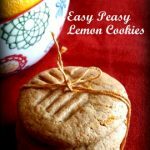 I hope folks at Fiesta Friday #43 are in for some delicious biscuits for snack, because even if these are wheat-free, you’re going to love them! Thank you, Tracy and Stephanie for staying back to host this week’s party too. 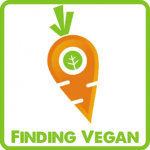 Also sharing this at the Virtual Vegan Linky Potluck #21. 1. Preheat oven to 425 °F. 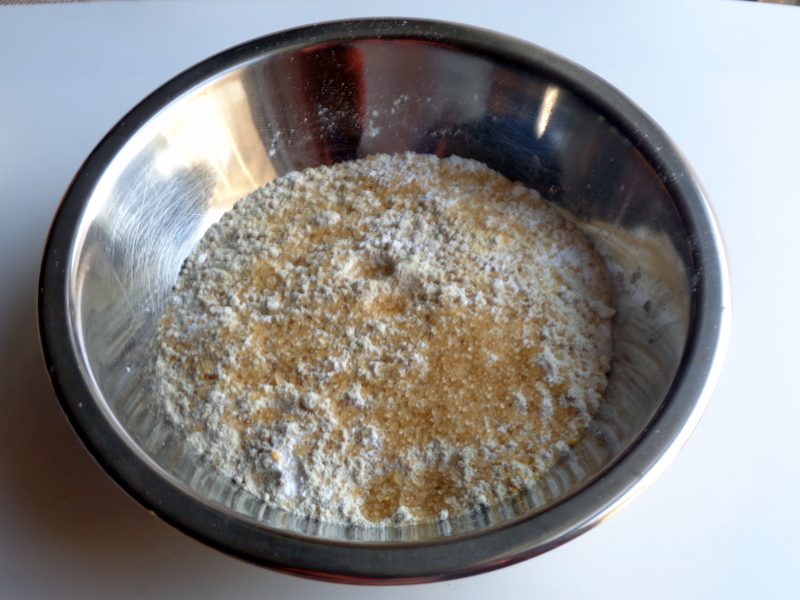 Combine flours in a bowl, add salt, sugar, baking powder and garlic powder. 2. If using freeze-dried chives, regenerate them in 2 tsp. water. Melt coconut oil (or butter) and add to the dry mix. Add milk and fold in the cheese and chives. 3. The dough is firm and sticky! 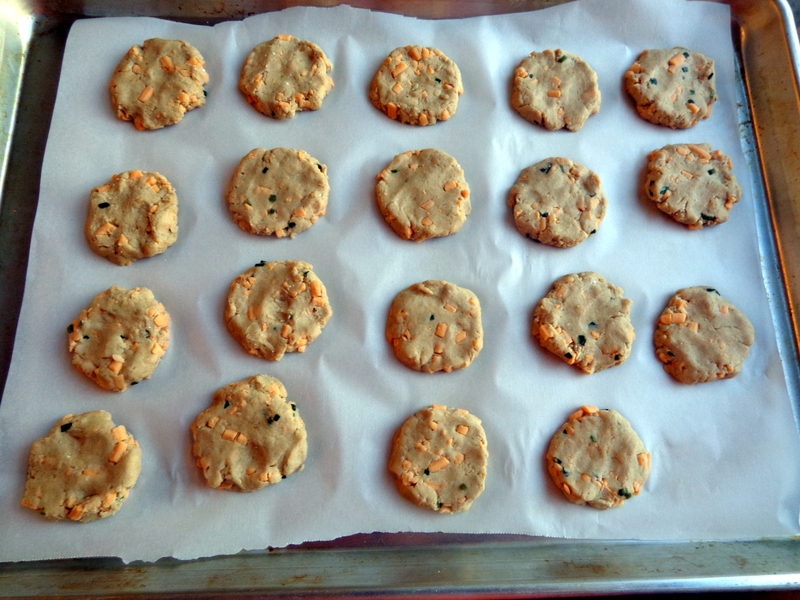 Use hands to form small circles and flatten them roughly onto a parchment-paper lined baking tray. Brush with more coconut oil. 4. Bake for 20 minutes. 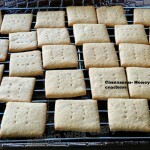 Cool for 10 minutes and bake for 5 more minutes for a really crisp cracker-like texture. 5. Let it cool and enjoy! When stored in an airtight box for even 2 weeks, they stay crisp and fresh! I have used an aluminum baking tray with parchment paper. Baking time will vary with other types of metal trays. These look super delish Apsara. The fact that you have made these gluten free n dairy free is outstanding. I can’t see the quantity of cheese in your recipe. Did you miss to mention that? Absolutely! I was amazed too. Thank you Tracy, very delighted that you like what I have shared at FF today. beauties !! bookmarking the recipe ! Yes, spelt flour should work great. Thank you!